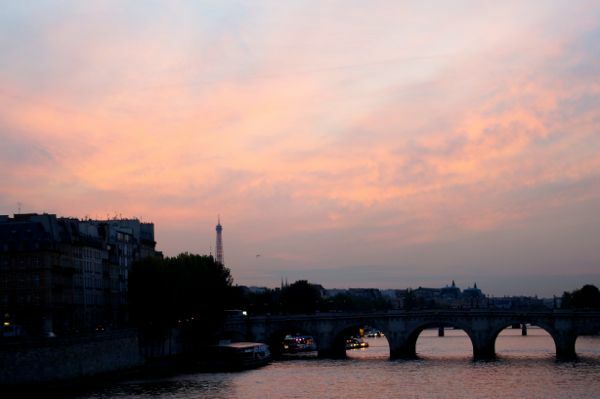 Is there ever a wrong time to go to Paris? I don’t think so. Whether you get there by road rail or air, it is probably the most cosmopolitan city within easy reach of Edinburgh. Paris is now much better at offering wifi wherever you go. Just ask for the code and most little cafes and restaurants have their own which makes planning the next part of your day so much easier. A good recommendation is to use the Yelp app on your phone as the map works even when you are not using wifi. Great way to get around easily and to find the best spots. This trip the breakfast stop was always Cafe Margeride in Place D’Italie with a useful set breakfast menu. (Place D’Italie has a good shopping mall with Printemps and some other big stores too.) Otherwise Dose on Rue Mouffetard provided good wifi and great iced coffee. Most places have also woken up to the fact that having electric sockets does not mean you spend more on your bills, it just encourages your customers to stay longer. The breakfasts are carbohydrate rich with all the bread you are offered, but somehow you content yourself by knowing that most French women are much thinner than you. Dinners are probably the healthier option with their small portions and well cooked meats and veg. Is anyone in France a vegetarian? Probably with some difficulty you could be! Anyway eating well is part of the holiday experience and it is an easy thing to then cycle or walk it off. The Velib in Paris is the first bike share scheme I ever tried. It is fabulous, so long as you are reasonably adept at cycling in traffic, because boy there is traffic! But that said they do have segregated cycle lanes, which can be somewhat of a nuisance when you are a pedestrian, but a great help to those on two wheels. There is a path along the Seine which you can cycle on to take in all the sights and sounds of the river so even if that is the only cycling you do, at least it is off-road. Paris is quite flat for the most part so it can be a fun way to get about. Charles De Gaulle airport is not the most customer friendly experience. When we arrived there on Sunday morning it had taken barely an hour from Place D’Italie on the Metro. We thought we were ahead of the game, and gaily went ahead to deal with the self-service check in machine. Then we had to queue to drop off the bags for our Air France flight back to the capital. And yes I mean queue. About an hour later we had managed to leave behind our bags, clear security and head for the gate which was at the furthest end of terminal 2 that it could have been. So if you have to use Paris CDG, then leave plenty of time! The Metro tickets at around £50 for five days travel may seem expensive at first but that includes a fare from the airport so it is actually very cost effective, and a simple way to get about when you have managed to work out where the various numbered lines take you. It is probably not the most wheelchair friendly city however so for any of you in wheelchairs or with buggies, best to check ahead to see which stops actually do have escalators or lifts. At the eastern side of the city there is a walkway formed from a disused railway in the 1980s above the Viaduc des Arts. At some places it passes by houses at the first second and third floors. Again this is probably a tricky manoeuvre for someone on their own with a pushchair, but in lovely weather it is a nice place for a walk. Or so we thought. Then we saw the first rat. By the time we saw a jogger jump over one I had really had enough and it was time to move on! The idea is a good one, but the area has become a bit of an attraction for the homeless in Paris, of whom there are many. There is a tented village under the arch next to Viaduct des Arts, a collection of lovely artisan shops offering the kind of bespoke ironwork you might need for the stairs in your Paris townhouse, or hand made furniture with a twist. BHV in the Marais is a find, particularly if you are interested in DIY. In a very interesting move to keep everyone in the family entertained the whole basement is turned over to a kind of massive B & Q whereas the rest of the store is anything from MAC cosmetics to Chanel handbags! Finally as the weather was great we did the tourist thing (not to climb the Eiffel Tower where you need to pre-book as the queues are so long) and visited the Pere Lachaise cemetery where there is a plethora of dead talent. This is the final resting place of Jim Morrison of The Doors, Edith Piaf, Chopin and many notable Parisian residents, or those lucky or unlucky enough to have died there. It is an interesting place to witness the ritual of death and the way it is marked. It appears that even in death the abundance of money must be shown off by the biggest and grandest construction to mark the spot – and yes there are some veritable temples! But this time the biggest and best find was the Jardin de Luxembourg. The garden is owned by the French Senate who meet in the Palace there, but this is a well-used and popular area to do what the Parisians appear to be very good at – just sitting and watching the world go by. Walking in the Jardin de Luxembourg in Paris from Phyllis Stephen on Vimeo.